Human Aortic Smooth Muscle Cells (HAOSMC) provide an excellent model system to study all aspects of cardiovascular function and disease, especially those related to mechanisms of hyperplasia and hypertrophy of intimal smooth muscle cells leading to vascular occlusion in atherosclerosis and stent restenosis. Characterization: Positive for smooth muscle cell specific alpha-actin expression. (Click to Enlarge) Human Aortic Smooth Muscle Cells, HAOSMC (A), immunolabeled for smooth muscle-specific alpha-actin by ABC method (red) (B) and by immunofluorescence (green) (C). Nuclei are visualized with DAPI (blue) (C). Anderson, J., S. Lamichhane, T. Remund, P. Kelly and G. Mani. 2016. Preparation, characterization, in vitro drug release, and cellular interactions of tailored paclitaxel releasing polyethylene oxide films for drug-coated balloons. Acta Biomaterialia, 29:333–351. Becs, G., A. Zarjou, A. Agarwal, K. Éva Kovács, Á. Becs, M. Nyitrai, E. Balogh, E. Bányai, J. Eaton, P. Arosio, M. Poli, V. Jeney, J. Balla and G. Balla. 2016. Pharmacological induction of ferritin prevents osteoblastic transformation of smooth muscle cells. J Cellular & Molec Med, 20:217-230. Franzoni, M., I. Cattaneo, L. Longaretti, M. Figliuzzi, B. Ene-Iordache and A. Remuzzi. 2016. Endothelial cell activation by hemodynamic shear stress derived from arteriovenous fistula for hemodialysis access. Am J Physiol Heart Circ Physiol 310:H49 –H59. Lamichhane, S., J. Anderson, T. Remund, H. Sun, M. Larson, P. Kelly and G. Mani. 2016. Responses of endothelial cells, smooth muscle cells, and platelets dependent on the surface topography of polytetrafluoroethylene. J Biomed Mat Res, 104:2291-2304. Maier, K., B. Ruhle, J. Stein, K. Gentile, F. Middleton and V. Gahtan. 2016. Thrombospondin-1 differentially regulates microRNAs in vascular smooth muscle cells. Molec & Cell Biochem, 412:111-117. Mani, G., S. Lamichhane, J. Anderson, T. Remund and P. Kelly. 2016. Formulations for Tailored Drug Release. Patent Application US 20160121027 A1. Oros, M. 2016. Ethanol accelerates vascular calcification in human aortic smooth muscle cells: Quantitative trait locus mapping reveals alcohol consumption genes. PhD Thesis, University of Debrecen, Doctoral School of Molecular and Immune Biology. Wilhelmson, A., J. Fagman, I. Johansson, Z. Zou, A. Andersson, E. Svedlund, M. Johansson, P. Lindahl, P, Fogelstrand and Å. Tivesten. 2016. Increased Intimal Hyperplasia Following Vascular Injury in Male Androgen Receptor Deficient Mice. Endocrinology, doi: 10.1210/en.2016-1100. Anderson, J., T. Remund, K. Pohlson, S. Lamichhane, C. Evans, R. Evans, M. Clark, K. Egland, P. Kelly and G. Mani. 2015. In vitro and in vivo evaluation of effect of excipients in local delivery of paclitaxel using microporous infusion balloon catheters. J Biomed Mater Res Part B, DOI: 10.1002/jbm.b.33564. Harith, H., B. Di Bartolo, S. Cartland, S. Genner and M. Kavurma. 2015. Insulin promotes vascular smooth muscle cell proliferation and apoptosis via differential regulation of tumor necrosis factor-related apoptosis-inducing ligand. J Diabetes, 8:568-578. Helkin, A., K. Maier, and V. Gahtan. 2015. Thrombospondin-1, -2 and -5 have differential effects on vascular smooth muscle cell physiology. BBRC, doi:10.1016/j.bbrc.2015.07.044. Lamichhane, S., J. Anderson, T. Remund, P. Kelly and G. Mani. 2015. Dextran sulfate as a drug delivery platform for drug-coated balloons: Preparation, characterization, in vitro drug elution, and smooth muscle cell response. J Biomed Mater Res Part B, 104:1416-1430. Lavanya, V., C. Bashur and A. Ramamurthi. 2014. Impact of Cyclic Stretch on Induced Elastogenesis Within Collagenous Conduits. Tiss Eng Pt A, 20:1403-1415. Seymour, K., J. Stein, X. Han, K. Maier, and V. Gahtan. 2014. Statins and Nitric Oxide Donors Affect Thrombospondin 1-Induced Chemotaxis.Vasc Endovascular Surg, 48:470-475. Stein, J., C. Iwuchukwu, K. Maier and V. Gahtan. 2014. Thrombospondin-1−induced vascular smooth muscle cell migration and proliferation are functionally dependent on microRNA-21. Surgery, 155:228-233. Venkataraman, L, B. Sivaraman, P. Vaidya and A. Ramamurthi. 2014. Nanoparticulate delivery of agents for induced elastogenesis in three-dimensional collagenous matrices. J Tiss Eng & Regen Med, DOI: 10.1002/term.1889. Almontashiri, N.A.M., M. Fan, B.L.M. Cheng, H.-H. Chen, R. Roberts, and A.F.R. Stewart. 2013. Interferon-γ Activates Expression of p15 and p16 Regardless of 9p21.3 Coronary Artery Disease Risk Genotype. Journal of the American College of Cardiology. 61:143-147. Deshpande, D., D.R. Janero, and M. Amiji. 2013. Engineering of an ω-3 polyunsaturated fatty acid-containing nanoemulsion system for combination C6-ceramide and 17β-estradiol delivery and bioactivity in human vascular endothelial and smooth muscle cells. Nanomedicine: Nanotechnology, Biology and Medicine. 9:885-894. Hirase, T., H. Hara, Y. Miyazaki, N. Ide, A. Nishimoto-Hazuku, H. Fujimoto, C.J. Saris, H. Yoshida, and K. Node. 2013. Interleukin 27 inhibits atherosclerosis via immunoregulation of macrophages in mice. American Journal of Physiology-Heart and Circulatory Physiology. 305:H420-429. Kakade, S., and G. Mani. 2013. A comparative study of the effects of vitamin C, sirolimus, and paclitaxel on the growth of endothelial and smooth muscle cells for cardiovascular medical device applications. Drug design, development and therapy. 7:529. Lamichhane, S., S. Lancaster, E. Thiruppathi, and G. Mani. 2013. Interaction of Endothelial and Smooth Muscle Cells with Cobalt–Chromium Alloy Surfaces Coated with Paclitaxel Deposited Self-Assembled Monolayers. Langmuir. 29:14254-14264. Gleason. 2013. Mechanism of aortic medial matrix remodeling is distinct in patients with bicuspid aortic valve. The Journal of thoracic and cardiovascular surgery: doi: 10.1016/j.jtcvs.2013.1004.1028. Stein, J., C. Iwuchukwu, K. Maier, and V. Gahtan. 2013. Thrombospondin-1-induced smooth muscle cell chemotaxis and proliferation are dependent on transforming growth factor-β2 and hyaluronic acid synthase. Molecular and cellular biochemistry. 384:181-186. Venkataraman, L., C.A. Bashur, and A. Ramamurthi. 2013. Impact of Cyclic Stretch on Induced Elastogenesis within Collagenous Conduits. Tissue Engineering Part A: doi:10.1089/ten.TEA.2013.0294. Acilan, C., M. Serhatli, O. Kacar, Z. Adiguzel, A. Tuncer, M. Hayran, and K. Baysal. 2012. Smooth Muscle Cells Isolated from Thoracic Aortic Aneurysms Exhibit Increased Genomic Damage, but Similar Tendency for Apoptosis. DNA Cell Biol, 31:1523-1534. Almontashiri, N. 2012. A gain of function variant of the mitochondrial matrix protease SPG7 is associated with increased risk of coronary artery disease. Vol. MSc dissertation. University of Ottawa. LaBerge, M. 2012. Induced Elastic Matrix Synthesis within 3-Dimensional Collagen Constructs. PhD Dissertation, Clemson U.
Oros, M., E. Zavaczki, C. Vadasz, V. Jeney, A. Tosaki, I. Lekli, G. Balla, L. Nagy, and J. Balla. 2012. Ethanol increases phosphate‐mediated mineralization and osteoblastic transformation of vascular smooth muscle cells. Journal of cellular and molecular medicine. 16:2219-2226. Santiago, F.S. 2012. Regulatory Mechanisms in Vascular Injury and Repair. University of New South Wales, PhD dissertation. Venkataraman, L. 2012. Induced elastic matrix synthesis within 3-dimensional collagen constructs. PhD dissertation, Clemson University. Chen, J., M.Y. Liu, C.R. Parish, B.H. Chong, and L. Khachigian. 2011. Nuclear import of early growth response-1 involves importin-7 and the novel nuclear localization signal serine-proline-serine. Intern. J. of biochemistry & cell biology. 43:905-912. Gacchina, C., T. Brothers, and A. Ramamurthi. 2011. Evaluating smooth muscle cells from CaCl2-induced rat aortal expansions as a surrogate culture model for study of elastogenic induction of human aneurysmal cells. Tissue Engineering Part A. 17:1945-1958. Liu, X., E.-Z. Jin, J.-X. Zhi, and X.-Q. Li. 2011. Identification of HZF1 as a novel target gene of the MEF2 transcription factor. Molecular medicine reports. 4:465-469. Brito, L.A., S. Chandrasekhar, S.R. Little, and M.M. Amiji. 2010. In vitro and In vivo studies of local arterial gene delivery and transfection using lipopolyplexes‐embedded stents. Journal of Biomedical Materials Research Part A. 93:325-336. Gacchina, C.E. 2010. Cell-mediated elastic matrix regeneration toward regression of abdominal aortic aneurysms. PhD Dissertation, Clemson University. Phillippi, J., M. Eskay, A. Kubala, B. Pitt and T. Gleason. 2010. Altered Oxidative Stress Responses and Increased Type I Collagen Expression in Bicuspid Aortic Valve Patients. Annals Thor Sug, 90:1893-1898. Seymour, K., X. Han, B. Sadowitz, K.G. Maier, and V. Gahtan. 2010. Differential effect of nitric oxide on thrombospondin-1-, PDGF- and fibronectin-induced migration of vascular smooth muscle cells. The American J. Surgery. 200:615-619. Argraves, W., A. Tanaka, E. Smith, W. Twal, K. Argraves, D. Fan, and C. Haudenschild. 2009. 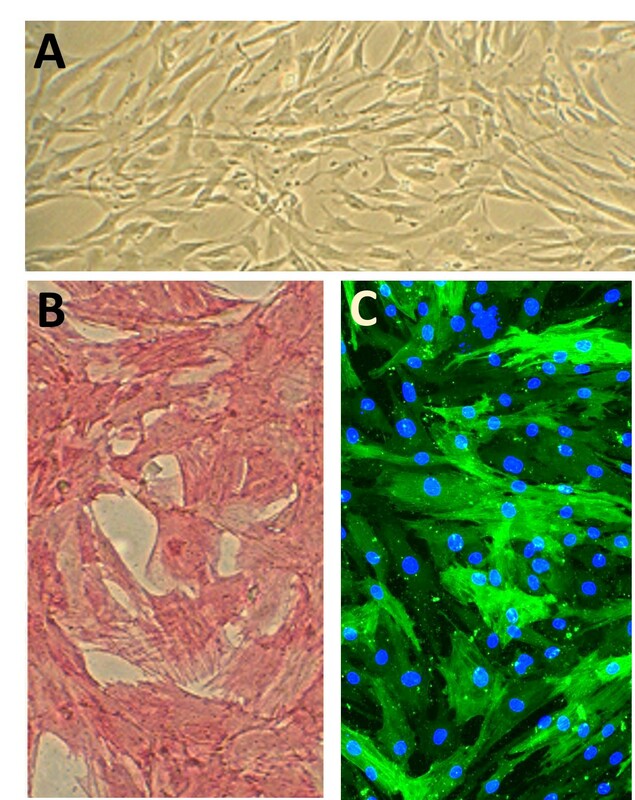 Fibulin-1 and fibrinogen in human atherosclerotic lesions. Histochemistry and Cell Biology, 132:559-565. Brito, L. 2009. Targeted endothelial nitric oxide synthase gene delivery with lipopolyplexes for the treatment of coronary restenosis. ProQuest. Fischer, L.J., S. McIlhenny, T. Tulenko, N. Golesorkhi, P. Zhang, R. Larson, J. Lombardi, I. Shapiro, and P.J. DiMuzio. 2009. Endothelial Differentiation of Adipose-Derived Stem Cells: Effects of Endothelial Cell Growth Supplement and Shear Force. Journal of Surgical Research. 152:157-166. Hampson, A. 2009. Transcriptional Regulation of Soluble Guanylyl Cyclase. B.Sc. honors thesis, Dublin Institute of Technology. Jiang, X., P.F. Austin, R.A. Niederhoff, S.R. Manson, J.J. Riehm, B.L. Cook, G. Pengue, K. Chitaley, K. Nakayama, and K.I. Nakayama. 2009. Mechanoregulation of proliferation. Molecular and cellular biology. 29:5104-5114. Liu, M.Y., and L.M. Khachigian. 2009. HDAC-1 is Enriched at the PDGF-D Promoter in Response to IL-1beta and Forms a Cytokine-Inducible Gene Silencing Complex with NF-kappaB p65 and IRF-1. Journal of Biological Chemistry:10.1074/jbc.M1109.061903. Morrow, D., J.P. Cullen, W. Liu, S. Guha, C. Sweeney, Y.A. Birney, N. Collins, D. Walls, E.M. Redmond, and P.A. Cahill. 2009. Sonic Hedgehog induces Notch target gene expression in vascular smooth muscle cells via VEGF-A. Arterioscler Thromb Vasc Biol. 29:1112-1118. Srinivas, A., and A. Ramamurthi. 2007. Effects of gamma-irradiation on physical and biologic properties of crosslinked hyaluronan tissue engineering scaffolds. Tissue engineering. 13:447-459. Wang, M., J. Zhang, L. Jiang, G. Spinetti, G. Pintus, R. Monticone, F. Kolodgie, R. Virmani, and E. Lakatta. 2007. Proinflammatory Profile Within the Grossly Normal Aged Human Aortic Wall. Hypertension, 50:219-227. Leik, C.E., E.J. Su, P. Nambi, D.L. Crandall, and D.A. Lawrence. 2006. Effect of pharmacologic plasminogen activator inhibitor-1 inhibition on cell motility and tumor angiogenesis. Journal of Thrombosis and Haemostasis. 4:2710-2715. Scheller, A. 2006. Notch signaling pathway in human vascular smooth muscle cell differentiation. Dublin City University, M.Sc. dissertation. Gravel, S.-P., and M.J. Servant. 2005. Roles of an IκB Kinase-related Pathway in Human Cytomegalovirus-infected Vascular Smooth Muscle Cells: A MOLECULAR LINK IN PATHOGEN-INDUCED PROATHEROSCLEROTIC CONDITIONS. Journal of Biological Chemistry. 280:7477-7486. Sottile, J., and J. Chandler. 2005. Fibronectin Matrix Turnover Occurs through a Caveolin-1–dependent Process. Molecular biology of the cell. 16:757-768. Toyoshima, T., N. Nishi, H. Kusama, R. Kobayashi, and T. Itano. 2005. 36-kDa microfibril-associated glycoprotein (MAGP-36) is an elastin-binding protein increased in chick aortae during development and growth. Exp. cell research. 307:224-230. Sottile, J., and D.C. Hocking. 2002. Fibronectin Polymerization Regulates the Composition and Stability of Extracellular Matrix Fibrils and Cell-Matrix Adhesions. Molecular biology of the cell. 13:3546-3559. Wang, R., M. Xu, R. Marcel, G. Bouliane, and D.Z. Fisher. 1999. Selective neointimal gene transfer in an avian model of vascular injury. Atherosclerosis. 146:71-82. Leung, K.H., V. Pippalla, A. Kreutter, and M. Chandler. 1998. Functional effects of FGF-13 on human lung fibroblasts, dermal microvascular endothelial cells, and aortic smooth muscle cells. Biochem. & Biophys. Research Communic. 250:137-142.